Welcome, Come in, Let’s do business, Thank you for being here! What we can do for your doors? A door is more than hinges, door knobs, glass, or steel. All types of doors send a message to your community. They say Welcome, Come in, Let’s do business, Thank you for being here, We can help, You’re safe here. The doors to your business or home are, in fact, expressions of you and what you represent. There are a few things we’ve learned working in the industrial and residential door business in the Upstate. We learned about taking care of families, both those we serve and those we employ. We learned about the importance of having local roots and supporting local customers in our own community. We learned about being invested in more than just our own business, but the businesses of our community. And most of all, we learned that everyone deserves to show their best - the most sophisticated door products in the industry - while receiving the most top-level service available. Our vision for this business is to keep the same integrity, values, and customer service focus of the past, but also bring in the technology of the future. We know, and will continue to stay up to date with the latest advancements in the door business. You deserve to have safety, solid construction, innovation, functionality, and beauty when it comes to your door needs. That’s why we’ll be at the forefront of what’s new, and keep your business and home looking sharp and running smooth with our 24/7 emergency service. We’re not global, we’re upstate South Carolina, and we wouldn’t have it any other way. We’ve been here for decades, and we’re not going anywhere. When you work with Upstate Door Company, you are working with a family-owned, locally managed and operated business. You’re working with a friend. A upstate partner who cares about your success, both today and tomorrow. So we’ll be here to answer questions, solve problems, and make things right for you as you need us. 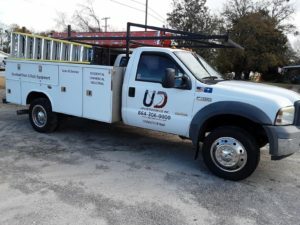 We are a provider of product for sales, installation, and service of overhead doors and dock equipment for both residential, commercial, and industrial in the upstate of South Carolina including Greenville, Spartanburg, and Anderson. Our company is customer-driven and we provide quality products that are proven in both upward acting and high-speed doors and dock equipment. Complications or even worse, accidents, that occur during loading and unloading from a semi, truck, or trail cause your business to come to a halt. However, with the right dock equipment and service, you will be able to run a smooth operation that can save you time and money. We carry a full line of necessary dock equipment including dock levelers, dock guard rails, dock bumpers, curtain walls, dock barricades, dock shields and shelters, swinging doors, overhead doors, and more. 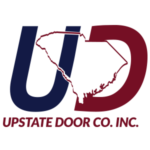 Upstate Door Company has the dock solutions you need to protect your people and your investments. Whether you require a new installation, parts, or service of your current equipment, our efficiency and reliability make us an upstate leader in customer satisfaction. The garage door to your home needs to not only look beautiful but function properly. Coming and going, carrying in groceries, getting tools and the lawn mower out - you don't realize how much you rely on your garage door until it stops working. We carry a full line of stylish and durable garage doors to bring instant curb appeal and years of reliable use to your home. Upstate Door Company has the latest in secure and smart technology garage door options to protect your family and your investments. 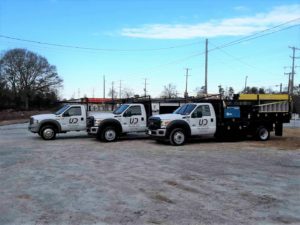 Whether you require a new installation, parts, or service of your current equipment, our efficiency and trustworthiness make us a leader in customer satisfaction in the upstate area. 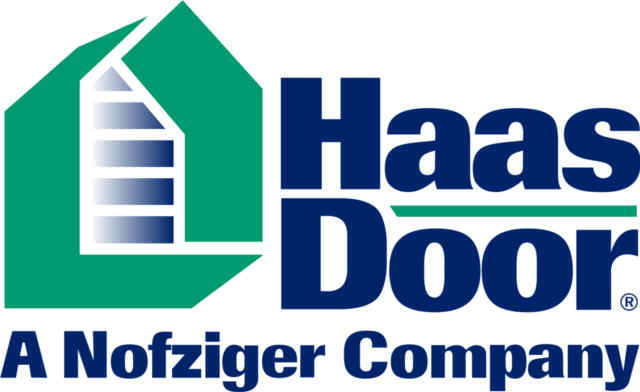 We are a complete commercial and industrial door company offering sales, new installation, and service on all types of doors. Whether you need overhead doors, roll-up doors, high-speed fabric doors, fire doors, sectional doors, or shutters, we have everything available for your upstate business.